Now this was a close call! And if you can imagine yours truly jumping three feet into the air upon learning that Mr. T-Rex here was actually animatronic while trying to take this photo, it’ll be just like you were actually there at the exhibit with us! 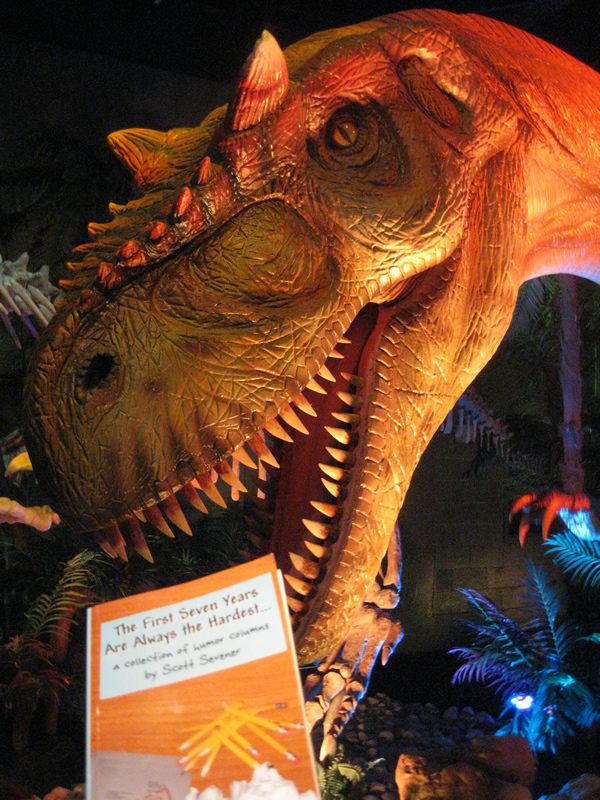 Seriously, though – one of the better dino exhibits that I’ve seen in a long time. Kudos, guys! Free stuff for anyone who orders a copy of my new book during the book tour! Follow along with all of the fun at home by perusing the trip archives thus far!